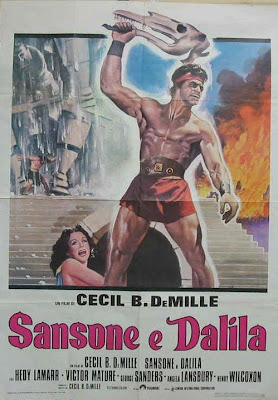 Thanks to Pasquale for the SAMSON & DELILAH poster, probably from a re-release which copied the comic cover for HERCULES. The belt is the same. 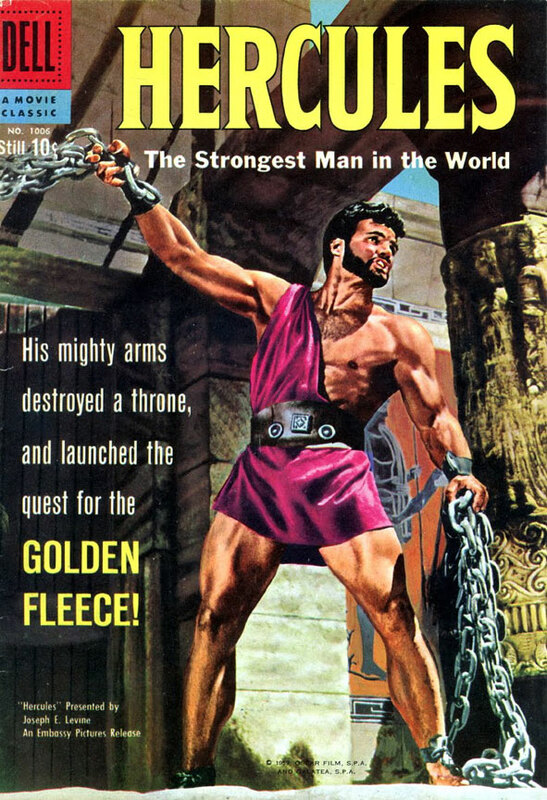 Even the folds in the fabric are the same. 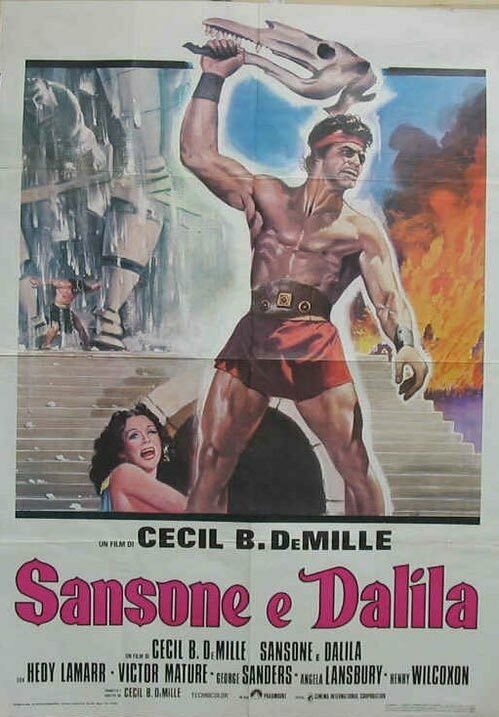 Victor Mature never looked that buffed.